It’s been a long time since I laughed so hard I cried. In all honesty, it’s never happened on an ebike, but when I tested the Luna Fat Drift Trike ripping along The Strand in LA at night barely on the verge of control racing along with my friend Curt Fisher, I was laughing out loud so hard that tears actually started forming. There is something about moving 25mph and being only inches off the ground that is just so much fun that it’s hard to explain. When the wheels start to slip on the sand around a fast corner, I just laugh harder and hit the throttle knowing if I wipe out I’ll just wipe out in the soft sand. This article is about my first experience with drift trikes and how one night on The Strand changed the way I view electric drift trikes forever. Everyone has seen the videos of people online riding around town (illegally) on drift trikes and having a great time. The thing I was ignorant to was just HOW MUCH fun drift trikes are to ride. On the Luna Fat Trike, you feel like a little kid who was the king of the block with his big wheel (in his own mind). 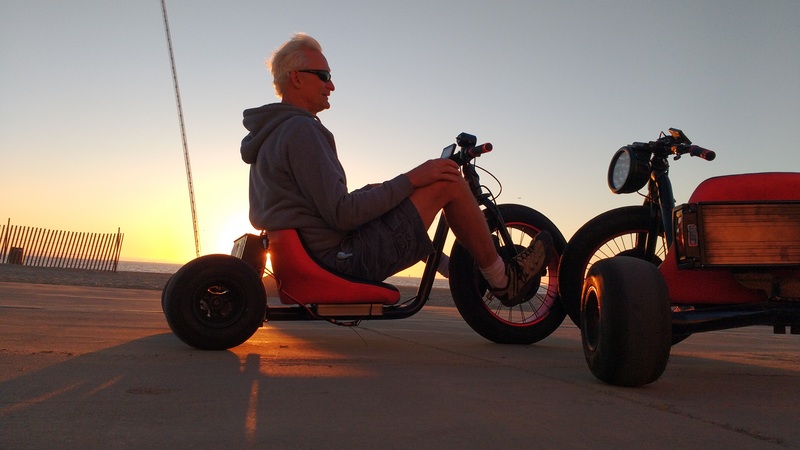 Riding a drift trike is the closest thing you’re ever going to get to being able to ride on the street that feels like a go-cart. When I first went out onto the streets of LA in the daytime with the trike I expected to get harassed at every turn. What ended up happening instead was a lot of smiles and courtesy not only from the pedestrians but also from other cars. 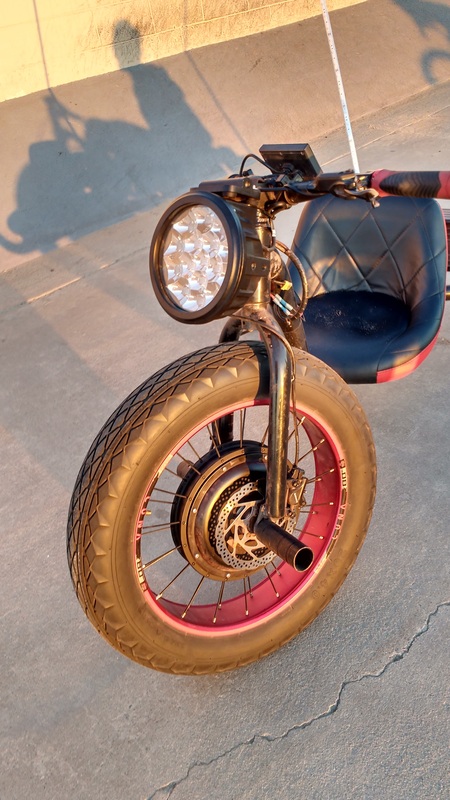 If you want to drive the drift trike in the streets be aware that there is no place in the US where this is actually legal and I highly recommend going out only at night with a monstrous headlight and the optional tail whip light which is impossible to not notice at night. It is absolutely terrifying riding this trike in heavy traffic with all the car bumpers whizzing by at eye level. The real fun comes when you can find a big parking lot with a few obstacles to play in. The drift trike easily gets up on two wheels and the feeling you get when the wheels slip out is intensely fun. If you ever feel like you’re completely out of control you can just hit the disk brakes and quickly come to a complete stop. 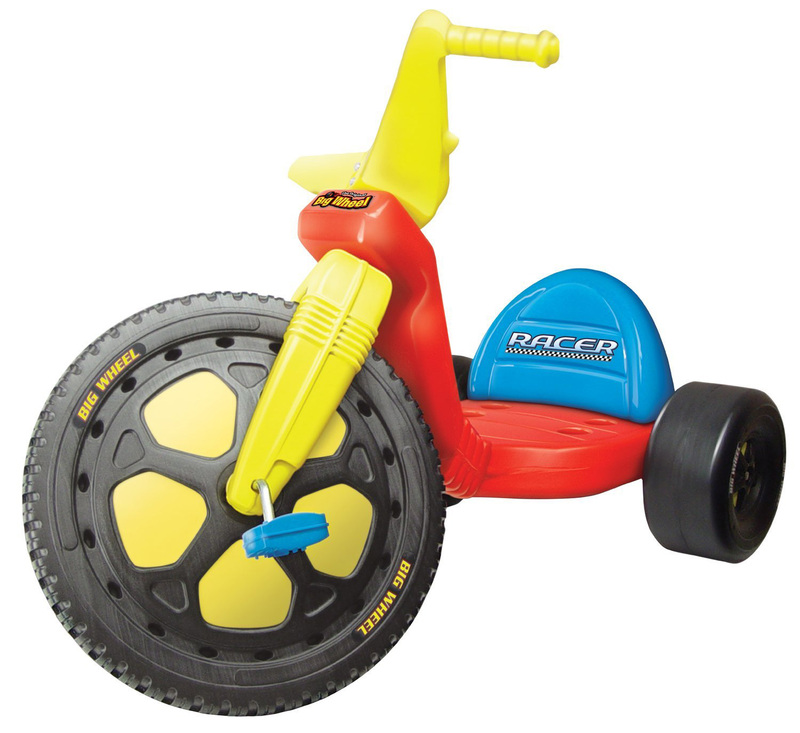 The drift trike comes with optional plastic rear wheel covers which makes it drift super easily. Getting the PVC covers on and off is a pain and it requires pulling the valve stems out and them hammering the wheel covers on or off the tire. With the rear wheel plastic covers the drift trike is much more difficult to control and it is not advised to use the plastic drifting covers when you ride in traffic. The rear wheels stick out pretty far from the trike so it’s important to have spacial awareness and not clip other people, bikers, or a pole. If you hit a pole at speed it will really hurt and you will likely rip the entire rear wheel off and break the frame. The construction of the Luna drift trike seemed very solid with very large diameter steel tubing and a very comfortable padded seat. If I ever bought one of these I would move the seat back about 6 inches as with my 6’9″ frame I felt like I really had to fold up to fit on it. The short wheelbase means an insane turning radius and the drift trike is incredibly nimble to ride. The max weight capacity of the frame is 250lbs and it is not upgradable (skinny people have all the fun). Curt Fisher is one cool grandpa. Notice the shin damage from our earlier ride. Shred till you’re dead. When assembling the drift trike you need to make sure the battery is angled slightly up (it has wingnut adjusters) so that it does not hit the tire when you try to remove it. 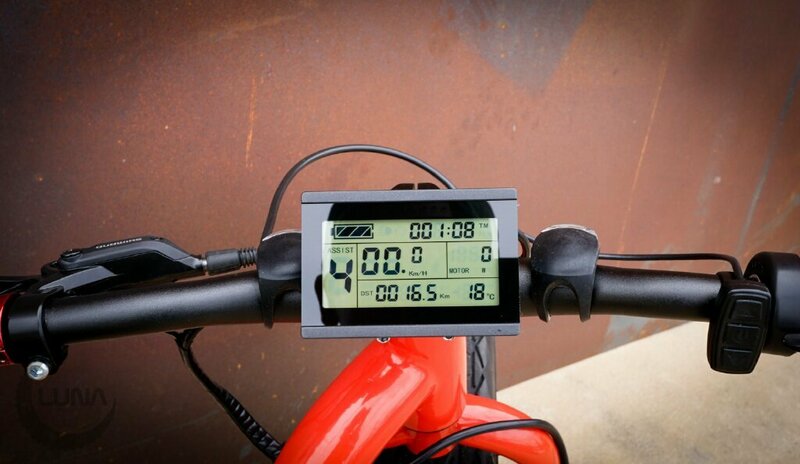 The Luna drift trike works with any 48-72v battery although stock from the factory it uses an XT60 connector & a large 50 amp Anderson to connect to the battery, not the XT90 that is standard on most Luna packs. You can save $400 clams by using your own pack which is probably going to be the road that most DIY builders are going to take. The battery has a key that you can remove and disable the trike with so you don’t have to lock it up. Since it is a bear to move without pedals, it is unlikely that a thief is going to get very far unless they throw it in a pickup truck and take off. One of my only complaints about this drift trike is the charging port connector for the battery is an RCA style plug which you have to be very careful to plug-in properly or it will make lots of sparks. I sparked it a couple of times and it’s pretty scary, think of it like playing the game ‘Operation’ where you get sparks instead of a buzzer if you fail to plug it in right. 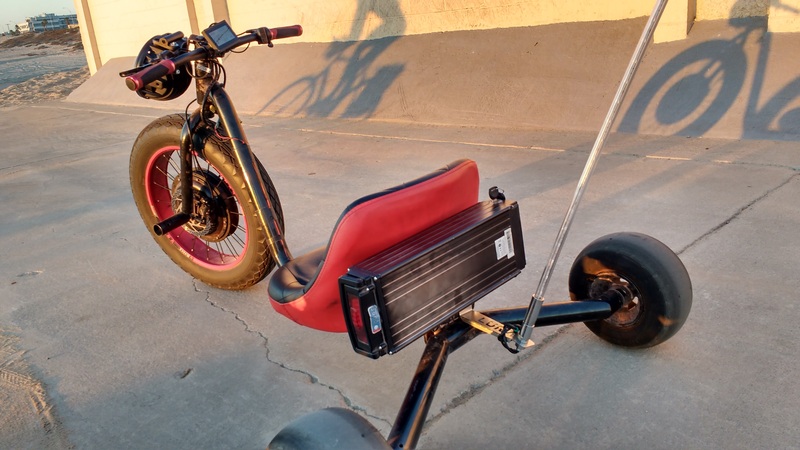 The 52v 20AH PF pack that comes with the drift trike rattles quite a bit at high speeds and when hitting bumps and the locking mechanism is a little tricky to engage. That being said $400 for a 20Ah 52v pack is still a screaming deal and I wouldn’t want to take out the drift trikes with anything less powerful. The PF cells seemed to be able to put out 1500W continuous without any issues. We got a little over an hour of hard riding on a 20Ah pack, but your mileage is going to vary widely depending on how heavy your thumb is (I kept mine pegged). It’s advised that you throw something like a Luna Mini Cube in your pocket in case you run out of juice a few miles from home because since there is no way to pedal or kick this beast home, you’re going to have a really hard time moving it alone without juice. 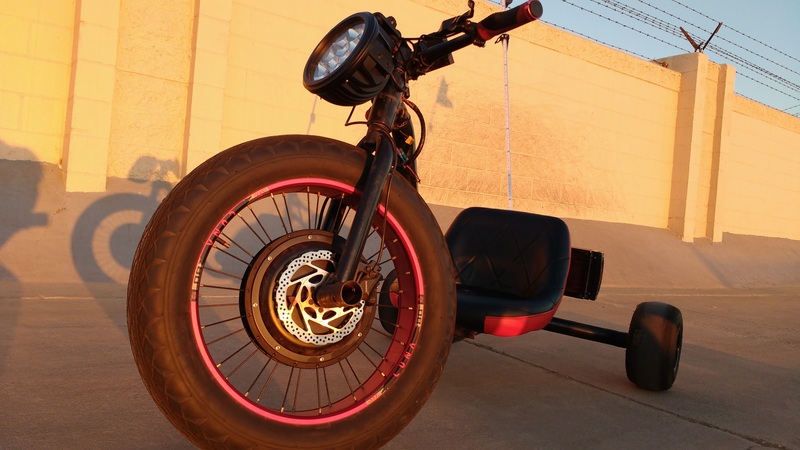 I really liked the $60 whip light option and I think they are a must-have for this trike as a safety feature. Since you are only about 2 1/2 feet tall, cars are just not going to see you, and these trikes are pretty darn fast (28mph top speed). From a standstill, the front DD motor is not that powerful and tends to click a bit on startup, but once it is moving the power delivery is smooth, if not slightly underwhelming at 52v. 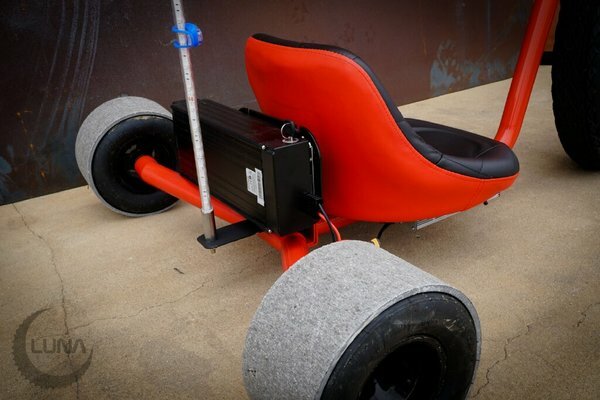 The nice thing is that the controllers will work with other voltage batteries and I hear this trike is absolutely insane at 72v although I didn’t get a chance to test it at that power level. You can install a simple Y plug on the XT60 power connector and then hook up a front headlight to your trike which is a must have for riding at night. I can tell you that no matter how bright your headlight is, that it can’t be too bright for the drift trike. With my oversized Rhino light I was blinding everyone I passed on the trail. The ability to see whats coming up ahead is invaluable and super bright headlights tend to give other trail users plenty of warning to look out for you. 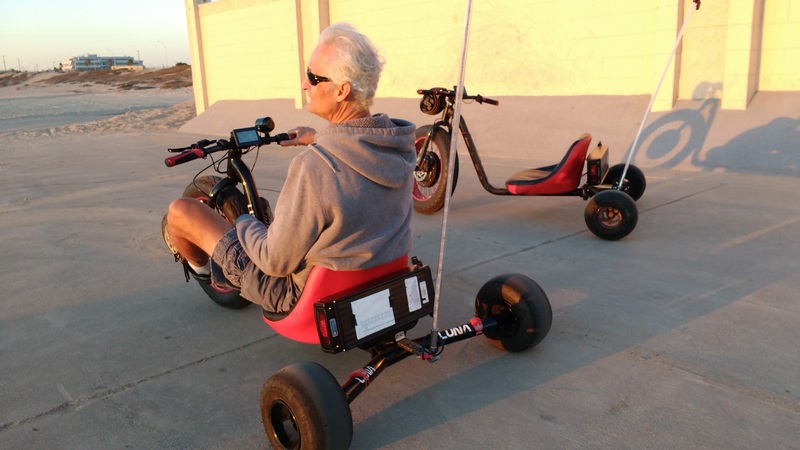 The trikes are loud enough to catch people’s attention who aren’t listening to headphones, with a bright light at night you can wiggle the headlight a little and let people know that you plan on passing them. You can score dirt-cheap ebike headlights on eBay that work for a range of voltages, at <$10 it is the cheapest piece of safety gear you can buy. The Luna Drift Trike is available here for $1195 and is probably one of the one purchasing decisions of your life that you will never ever regret. I can’t advise that you just buy just one of them, as the best part of this electric vehicle is racing your friends with it. The first night I rode the drift trike I spent that evening dreaming of getting back on the drift trike and whipping down the strand at breakneck speeds with Curt. The next evening I went back out again and I was surprised to find that the amount of fun I had increased from the first session. At the end of the evening, we took them out to the ballfield near Lunacycle and started drifting on the wet grass at night with the headlights off. I laughed so hard I actually started to lose control of my bladder. Anything that is so much fun that you need to wear a diaper to fully enjoy, is alright in my book. Everywhere we went there were smiles from pretty girls and the occasional scowl from the jealous boyfriend. The trikes seem harmless and unthreatening to most people. With the right energy and attitude and a little courtesy, I’m sure you will be able to take this trike almost anywhere without constant harassment. I feel like the most important part of drift-triking is to make sure that you do it with your friends. There are few things you can do that are this much fun that is even remotely legal. 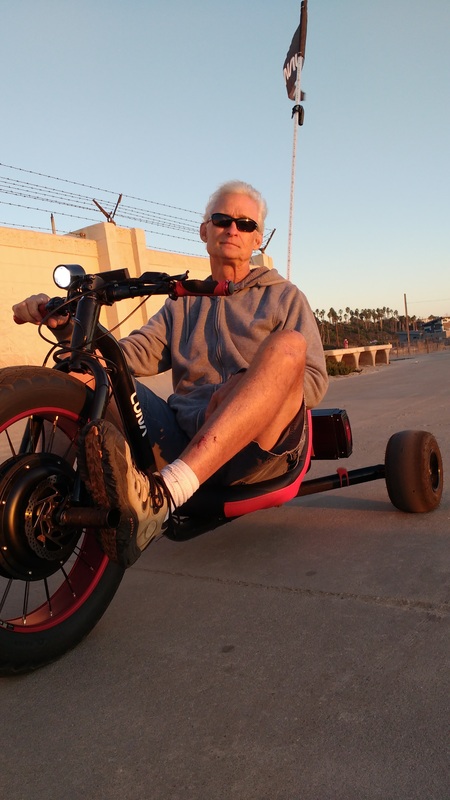 Get high on life, ride a drift trike. Investor, Consumer & Crowdfunder Beware : Is The Entire EV Industry Becoming Fraudulent? foot pegs on the front wheels looks like a good way to get a nasty burn. I’m surprised there’s no decent video too, lunacycle has one up but its not worth watching. speaking of, looking at the 6th picture down the guy has some damage to his leg. Great article on a very cool product, thanks Karl! Thanks so much Karl for this review. I’m drooling over the possibility of getting a Luna fat drift trike and found your review while searching for more info. I’m 6’4″ and I was happy to hear that someone 6’9″ was able to ride it for so long and have a ton of fun. I’m wondering if the seat could go back further if a different battery mount plate was fabricated? Was the seat the right width for you to do a hip flick to get the rear end loose on the grass with ease? (I’ve got a 38″ waist for reference and I’m hoping that the seat is wide enough). Is there a different battery you’d recommend using that Luna sells? I could get it up on 2 wheels no prob. There is a lot of room to move the seat back, I was fine riding it. The seat is really wide, my waist is 34″. Its a seat designed for Americans. Any battery will work with this trike, just need an XT90-XT60 adapter.